The Ministry of Health of Mozambique and the Mozambique National TB Programme with support from Stop TB Partnership organized the Mozambique National Dialogue on Tuberculosis as part of World TB Day commemorations, it has been reported. The President of the Republic of Mozambique, His Excellency Filipe Jacinto Nyusi, addressed the meeting, and discussed the availability of new diagnostics and treatments, encouraged TB survivors, recognized NGOs and communities for their hard work to reduce TB, and delivered an emotional and passionate speech on commitments to achieve the UNHLM targets and end TB by 2030. It is also reported that the event was nearly canceled at the last minute while the President and Government oversaw the response to a major cyclone that hit northern parts of the country and is still unveiling victims and major damage. 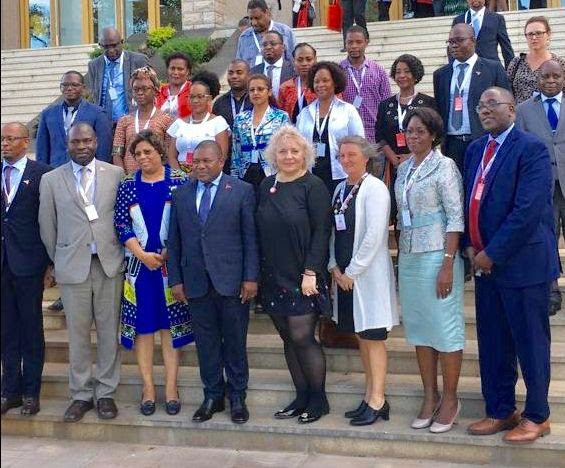 However, given the go-ahead, over four hundred delegates from state organs and representatives of public and private institutions, academia, donors, civil society and non-governmental organizations, joined the President, along with Mozambique Minister of Health and Member of the Stop TB partnership Board Her Excellency Nazira Vali Abdula, Executive Director of the Stop TB Partnership Dr. Lucica Ditiu, USAID Mission Director to Mozambique Jennifer Adams, Senior Disease Coordinator of the Global Fund Eliud Wandwalo, and World Bank Senior Health Specialist Ronald Mutasa, to discuss the way forward for Mozambique to deliver on targets and commitments outlined in the UN Political Declaration on TB. The Stop TB Partnership said that it was shocked and saddened by the lives lost due to Cyclone Idai and expressed solidarity with the people of Mozambique as they recover from its effects.